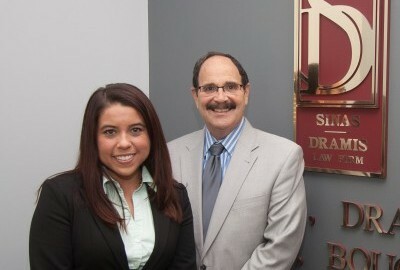 Sinas Dramis Law Firm has been fighting for the rights of the injured since 1951. We have a longstanding reputation of getting results for our clients, who come from all parts of Michigan. If you’ve been injured in an automobile, motorcycle, semi-truck, bicycle or other accident, we’ll help you get the justice you deserve. Contact us today. If you’ve been injured in a motor vehicle accident, there are many things to consider, including your right to Michigan no-fault insurance benefits. In this video, attorney George Sinas, who leads our auto no-fault team, offers advice for car crash victims. With a solid understanding of state and federal trucking laws, our Michigan semi-truck accident lawyers take a team approach to each case, working together to get clients fair compensation. Contact us for a free consultation. Led by attorney and cyclist Bryan Waldman, our Bicycle Law Group is committed to getting justice for bike crash victims. Bryan, a League of Michigan Bicyclists board member, has written a legal handbook for cyclists. He is also a member of the national Bike Law network. If you’ve been injured in a bicycle accident, contact us today. Our domestic relations attorneys not only understand the complexities of Michigan family law, but also the sensitive issues involved. If you need help with a divorce, legal separation, custody issue or other matter, contact our Michigan family law attorneys today. Sinas Dramis is dedicated to educating the public. That is why Lansing personal injury attorneys Stephen Sinas, Bryan Waldman and others appear regularly on FOX 47’s “Morning Blend” program. They discuss topics like auto insurance, car accidents, bicycle laws and domestic relations issues. 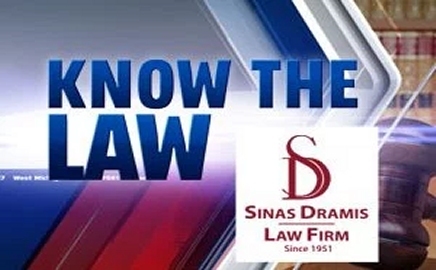 Sinas Dramis partners with FOX 17 for a television segment called “Know the Law,” to help citizens better understand their rights. Grand Rapids personal injury attorney Tom Sinas discusses topics like auto insurance, bicycle laws, distracted driving, motorcycle laws, workplace injuries … and much more. Sinas Dramis Law Firm is recognized as the leading authority on Michigan auto no-fault law and Michigan personal injury law. The attorneys at Sinas Dramis are auto no-fault experts. If you’ve been injured in a car, semi-truck, motorcycle, bicycle or pedestrian accident, the auto no-fault law will most likely apply. Our attorneys have a comprehensive understanding of Michigan’s complex no-fault insurance system, and will work diligently to get you the benefits and compensation that you deserve. Our Michigan pe rsonal injury lawyers have been advocating for the rights of injured individuals for more than 60 years. This commitment began in 1951, when attorneys Thomas G. Sinas and Lee C. Dramis founded the law firm. Over the years, our dedicated personal injury lawyers have been recognized at the national, state and local levels for their skills, integrity and achievements. The firm and many of its lawyers have also been prominently featured in numerous publications. If you’ve been harmed by another person’s wrongful or negligent conduct, we will help you get justice under the law. 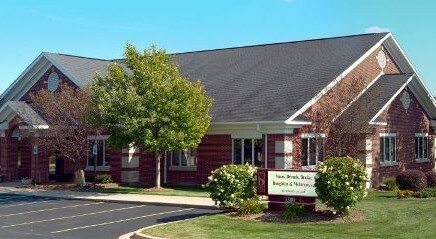 Sinas Dramis also maintains an accomplished Michigan family law practice. Our experienced domestic relations attorneys can assist you with a divorce or legal separation, as well as issues involving support, custody and parenting time. Our lawyers understand the sensitive issues involved in domestic relations cases, and will stand beside you every step of the way. Whether you’ve been injured in an accident or need help with a family law matter, Sinas Dramis is here to fight for your rights. Contact the attorneys in our Lansing, Grand Rapids, Kalamazoo, metro Detroit, or Chicago office today for a free consultation. $500,000,000 - Represented numerous survivors and helped obtain a substantial global settlement in the largest campus sexual abuse case in history. $10,680,000 - Jury award for the wrongful death of a 43-year-old divorced father of three due to medical malpractice. $10,000,000 - Settlement for the wrongful death of 19-year-old woman in the Pan Am 103 airplane crash in Lockerbie, Scotland. $7,775,000 Settlement for a Michigan family suffering the wrongful death of the driver as the result of another vehicle turning abruptly in front of the family's vehicle. $3,000,000 - Settlement for brain injuries and orthopedic injuries to a female high school athlete suffered as a passenger in a car struck by a commercial vehicle. $8,000,000 - Semi-truck accident involving a married couple, where husband sustained severe TBI and wife suffered numerous catastrophic injuries. $5,000,000 - Arbitration award for the wrongful death of an 18-year-old woman caused by the negligence of a drunk driver. $3,000,000 - Settlement for the wrongful death of a 56-year-old man resulting from police misconduct/unjustified use of lethal force. $3,000,000 - Settlement for semi-truck/motor vehicle collision causing the wrongful death of a 43-year-old man with a wife and two minor children. $2,900,000 - Settlement for severe orthopedic injuries to a single woman motorcyclist struck by a commercial vehicle. $2,770,000 - Highway defect case in Ingham County construction zone; motorcyclist encountered defect and crashed, rendering him a quadriplegic who ultimately succumbed to complications stemming from injuries sustained. $2,900,000 - Ingham County bicycle accident involving utility truck, where bicyclist almost lost leg. $3,000,000 - Decedent, a police officer, was killed by a semi-truck while conducting a traffic stop in Clinton County. $4,000,000 - Wrongful death claim resulting from death of high school student killed by drunk driver in Eaton County. $1,500,000 - Wayne County semi-truck accident, where 17-year-old passenger sustained severe cervical injuries and traumatic brain injury, and truck driver had poor driving history. $1,000,000 - Jury award in no-fault PIP benefits for recovery of unpaid medical expenses and other benefits following denial of coverage. $3,000,000 - Settlement for spinal cord and brain injuries to married couple in their mid‑40s as a result of a highway defect. Our decades of experience and solid reputation set us apart from other firms. 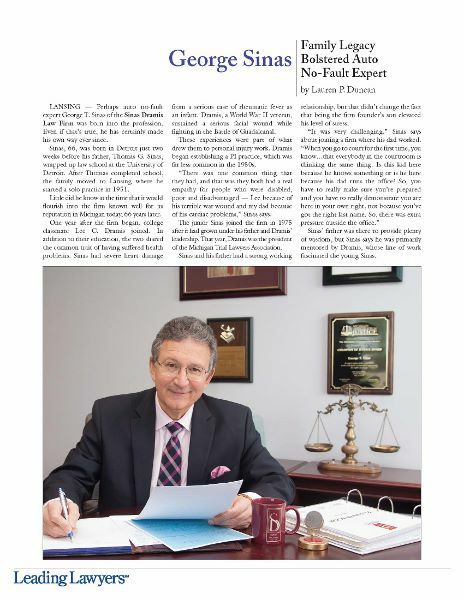 Our attorneys have been recognized as among the best in their fields of practice. Whether they’re advocating in the courtroom, leading an organization, helping their community, presenting at a seminar or speaking to the media, our attorneys are always at the forefront. 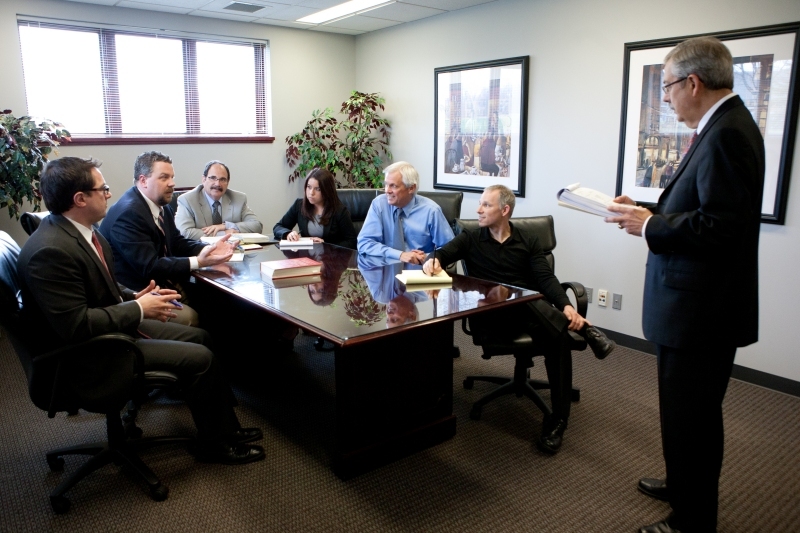 Our primary goal is to provide high-quality legal representation. In addition, we also want to make sure you understand your rights under the law. That is why our attorneys often speak publicly on matters of legal importance. Each fall, the firm sponsors People’s Law School, helping to educate the community about personal injury law, Michigan’s auto no-fault system, domestic relations law and numerous other topics. In addition, our Grand Rapids personal injury attorneys present a weekly segment on West Michigan FOX 17 called “Know the Law,” and our Lansing personal injury lawyers appear regularly on Mid-Michigan’s FOX 47 “Morning Blend” program. We also have an ongoing “Understanding Dangerous Roads” campaign, which helps educate motorists about Michigan dangerous roads and provides tips for safe travel. Our effort to educate the public includes easily accessible information on our Sinas Dramis network of websites. These websites are dedicated to our practice areas: personal injury law, auto no-fault law (including auto accidents, motorcycle crashes, and semi-truck collisions), family law and bicycle law. The websites break down the most important aspects of each area of law. You can also contact our attorneys through the websites. Since 1951, our personal injury attorneys have represented plaintiffs in slip and fall, wrongful death, dog bite injury and brain injury cases, among others. Learn about our personal injury practice. Sinas Dramis wrote the book on auto no-fault law. Whether you choose one of our Grand Rapids auto accident attorneys or one of our Lansing car accident lawyers, we are prepared to handle your claim. Find out more about our auto no-fault practice. Let our family law attorneys help you. Our experience and understanding that these issues can be difficult for everyone involved make Sinas Dramis the right choice. Learn about our family law division. If you’ve been injured in a bicycle accident, you need an attorney who knows Michigan’s cycling laws and understands what you’re going through. Many of our bicycle accident lawyers are avid cyclists and will fight for your rights. Find out more about our bicycle law practice. When we say we’re the experts in personal injury law and auto no-fault law, don’t just take our word for it. 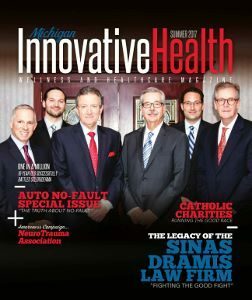 Founded more than 60 years ago, the Sinas Dramis Law Firm has had a longstanding presence and excellent reputation in the Michigan legal community. Given the results we have achieved for clients across the state, our personal injury, auto no-fault, bicycle law and family law attorneys are exactly who you need to handle your case. We will fight for you every step of the way, to make sure you get the justice you deserve. 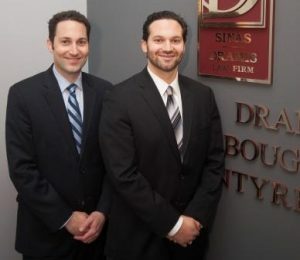 In addition to successfully representing clients, Sinas Dramis attorneys write about and lecture extensively on their respective areas of practice. Several of our lawyers also teach a class on auto no-fault law at Michigan State University College of Law, while others are advisers to various associations and organizations and speak publicly on issues of legal significance. The firm, and many of its attorneys, have received some of the most prestigious local, state and national awards and honors, recognizing our unwavering commitment to justice, the public, and the legal community. Auto accident lawyers Tom Sinas (left) & Stephen Sinas (right). If you can answer “yes” to any of these questions, or if you are unsure about the answer, contact a Grand Rapids car accident lawyer or Lansing car accident attorney today. Have I been injured in a Michigan car accident, semi-truck accident, motorcycle accident or bicycle accident? Am I covered by a Michigan auto no-fault insurance policy? If I do not have a Michigan auto no-fault insurance policy, can I still collect no-fault benefits? What are my Michigan auto no-fault insurance benefits? Is it true that I can get unlimited lifetime benefits if I am covered by a Michigan auto no-fault insurance policy? What types of damages have I suffered because of my Michigan car accident? Standing with survivors of sexual assault. In the era of #MeToo, more and more victims of sexual assault are stepping forward to speak their truth. And, sadly, sexual assault statistics are staggering – one in three women and one in six men experience some form of sexual violence in their lifetime. Our team of Michigan sexual assault attorneys wants survivors to know – we hear you, we believe you, and we want to help. Whether you experienced clergy abuse, sexual assault during medical care, on a university campus, or even in your apartment complex, we’re here for you. To passionately pursue compensation for your injustice and hold negligent organizations and institutions accountable. When you contact our firm, we’ll connect you with a caring and compassionate advocate and experienced attorney for sexual assault victims in a free and strictly confidential initial case evaluation. 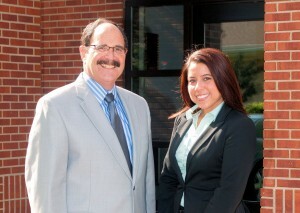 Family law attorneys Bernie Finn & Jackie Dupler. How do I file a divorce claim? What types of child custody arrangements are available in Michigan? What factors does the court analyze to determine which parent gets custody? How is child support determined in Michigan? Does grandparenting time factor into a Michigan child custody order? 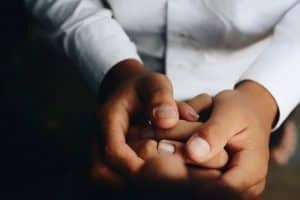 We handle divorce, legal separation, child custody, child support, spousal support and other domestic relations matters for people throughout Michigan. Contact our Michigan family law attorneys today. The Sinas Dramis bicycle law group is second-to-none when it comes to representing Michigan cyclists. Bicycle law attorney Bryan Waldman. 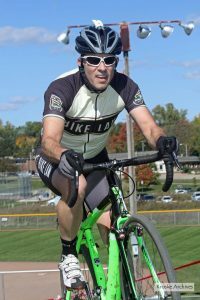 Bryan Waldman, who leads our group of Michigan bicycle accident attorneys, is a competitive cyclist and a member of Bike Law, a national association that advocates for cyclists. 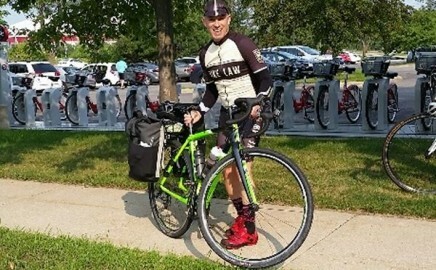 He is also a board member of the League of Michigan Bicyclists and active in legislative efforts that pertain to cycling. In addition, many members of our personal injury team are avid cyclists and endurance athletes. This personal perspective, coupled with a thorough understanding of Michigan bicycle law, is why our attorneys have successfully represented injured bicyclists, providing them access to the benefits and compensation they deserve. What should I do if I’ve been involved in a Michigan bicycle accident? Am I entitled to no-fault benefits if I’ve been in a bicycle accident? What is my bicycle case worth? How soon should I contact a Michigan bicycle accident attorney after my accident? What are my rights as a cyclist under Michigan law? These and other important questions are addressed on our website dedicated to bicycle law: bikelawmichigan.com. If you are unsure about your rights as a cyclist or have been injured in a bicycling accident, contact our Michigan bike law attorneys today.